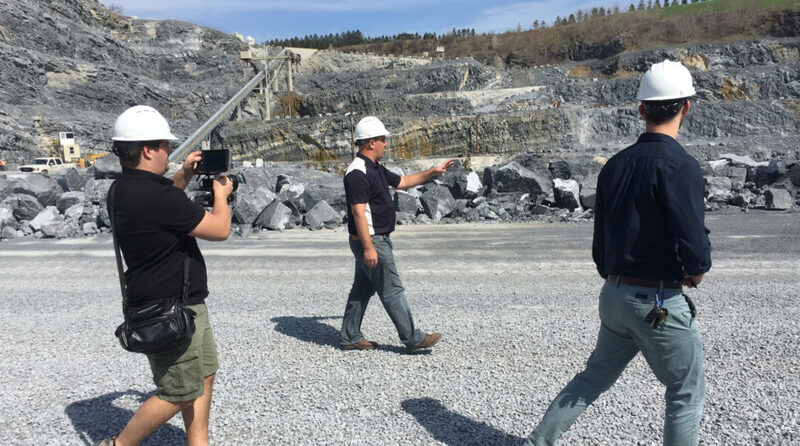 Rohrer’s Quarry approached us with a request, to make a film detailing their entire process. After a few conversations with the good people over at Rohrer’s, we realized together that they didn’t need people to understand what they do. What they really needed was for their community to understand the value they contribute. And while that may seem like the same thing at first, those are two very different films. And so we sat down with Travis, the owner of Rohrer’s Incorporated, and had a conversation with him. We followed him throughout the quarry listening to him talk about his family’s history and vision for his company’s future. It didn’t take long to get the impression that Travis was very proud of what he does and even more proud of his people. His respect for his trade and the people who help him was the most endearing quality about him. Here’s what he had to say about that process. They made the interviewing process very relaxing and easy to do. I received comments from people who watched our video saying, ‘That’s the real Travis’. That’s the sign of a great video company. Through his voice, we were able to identify the heart of the film: real people who are passionate about what they do, caring about their contribution to their community. We found their story. The film we produced for this project is slowly becoming one of our favorites. We take pride in being able to help a business showcase the core of who they are. It’s something we strive to do within all our work, get to the heart of a story and tell it in a way that is unforgettable.